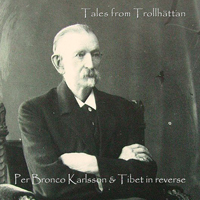 • Eight Per Bronco songs, four with Tibet in reverse! This entry was posted in News and tagged @perbronco, a solid hole, A solid hole (Remastered 2013), aingbg, alien, alien lady stardust, Alien Lady Stardust (Single version), All rickety here, amazon, Baby is walking with God, Baby is walking with God - Remaster, Be my wife, benandanti, black country rock .2, bolander, Bronco, Bronco Billy and Shadow, Bronco Karlsson, broncosaurus, browncow, browncow mp3, browncow mp3 music, busk, can´t be done, carlos walk with me, celebration, Celebration (Celebration 2011), center of hopelessness, Center of hopelessness (Single version), Coming release 2014, cortisone skin, Crowgirls, deezer, digital stores, download, Download All Rickety Here as short mp3, download mp3, download short mp3, Eight legged Doug, emusic, Exodus Jardin du Luxembourg, Exorcism, factory boy, factoryboy, get in line, Got my moojo working, Hans Kjellsson, hasse kjellsson, Hold on to your now, iamdirty, Its 2085 and im still a boy, itunes, Jardin du Luxembourg (Remastered 2013), Jardin du Luxembourg To get inside your pants, kill bill drill skill, last surfer online, ling ling at the bus stop, loco android, lost paradise, Lost Paradise (Single version), Micke Fasth, Mikael Fasth, music, my favorite female, My favorite female (Broncosaurus 2011), mylizzardbrain, Neighbors in the sun, No sociologies accepted, one single release, onlyyou, oscar muur, per bronco, per bronco karlsson, Per Bronco Karlsson (Browncow), per bronco karlsson & tibet in reverse, per bronco karlsson and tibet in reverse, Playlist, pray for reality, quark and all his friends, raise mast, refugee, Refugee (Broncosaurus 2011), Refugee (Browncow version), retromancer, reverb nation, romance de franz, singer songwriter, singer songwriter sweden, Sjömannens längtan, solid hole t-shirt, solid hole t-shirt store, Sons de Barcelona, soundcloud, spotify, spotify playlist, spotify playlist 10 per bronco songs, Tales from Trollhättan, tempoahorse, That frisco beat, the alliance, the apple on my head, The dreamprinter, the kitchen albatross, the medieval rosegarden, theme from browncow mp3 music, there´s no one, there´s no one - Remix, There´s no one - remix by Per Bronco, tibet in reverse, to get inside your pants, underdrifter, video, warezsites, Water in your eyes, youtube, zarathustra on March 12, 2016 by Admin. 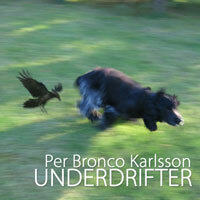 More by Per Bronco as short mp3 downloads. This entry was posted in News and tagged @perbronco, a solid hole, A solid hole (Remastered 2013), aingbg, alien, alien lady stardust, Alien Lady Stardust (Single version), All rickety here, amazon, Baby is walking with God, Baby is walking with God - Remaster, Be my wife, benandanti, black country rock .2, bolander, Bronco, Bronco Billy and Shadow, Bronco Karlsson, broncosaurus, browncow, browncow mp3, browncow mp3 music, busk, carlos walk with me, celebration, Celebration (Celebration 2011), center of hopelessness, Center of hopelessness (Single version), Coming release 2014, cortisone skin, Crowgirls, deezer, digital stores, download, Download All Rickety Here as short mp3, download mp3, download short mp3, Eight legged Doug, emusic, Exodus Jardin du Luxembourg, Exorcism, factory boy, factoryboy, get in line, Got my moojo working, Hans Kjellsson, hasse kjellsson, Hold on to your now, iamdirty, Its 2085 and im still a boy, itunes, Jardin du Luxembourg (Remastered 2013), Jardin du Luxembourg To get inside your pants, last surfer online, loco android, lost paradise, Lost Paradise (Single version), Micke Fasth, Mikael Fasth, music, my favorite female, My favorite female (Broncosaurus 2011), mylizzardbrain, Neighbors in the sun, No sociologies accepted, one single release, onlyyou, oscar muur, per bronco, per bronco karlsson, Per Bronco Karlsson (Browncow), per bronco karlsson & tibet in reverse, per bronco karlsson and tibet in reverse, Playlist, pray for reality, quark and all his friends, raise mast, refugee, Refugee (Broncosaurus 2011), Refugee (Browncow version), reverb nation, singer songwriter, singer songwriter sweden, Sjömannens längtan, solid hole t-shirt, solid hole t-shirt store, Sons de Barcelona, soundcloud, spotify, spotify playlist, spotify playlist 10 per bronco songs, Tales from Trollhättan, tempoahorse, That frisco beat, the alliance, the apple on my head, The dreamprinter, the medieval rosegarden, theme from browncow mp3 music, there´s no one, there´s no one - Remix, There´s no one - remix by Per Bronco, tibet in reverse, to get inside your pants, underdrifter, video, warezsites, Water in your eyes, youtube, zarathustra on September 17, 2015 by Admin. 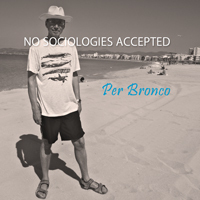 New single No Sociologies Accepted is out in digital stores! Buy or stream it on Spotify, iTunes, Amazon, Deezer and Google Play. This entry was posted in News and tagged @perbronco, a solid hole, A solid hole (Remastered 2013), aingbg, alien, alien lady stardust, Alien Lady Stardust (Single version), All rickety here, amazon, Baby is walking with God, Baby is walking with God - Remaster, Be my wife, benandanti, black country rock .2, bolander, Bronco, Bronco Billy and Shadow, Bronco Karlsson, broncosaurus, browncow, browncow mp3, browncow mp3 music, busk, carlos walk with me, celebration, Celebration (Celebration 2011), center of hopelessness, Center of hopelessness (Single version), Coming release 2014, cortisone skin, Crowgirls, deezer, digital stores, download, Download All Rickety Here as short mp3, download mp3, download short mp3, Eight legged Doug, emusic, Exodus Jardin du Luxembourg, Exorcism, factory boy, factoryboy, get in line, Got my moojo working, Hans Kjellsson, hasse kjellsson, Hold on to your now, iamdirty, Its 2085 and im still a boy, itunes, Jardin du Luxembourg (Remastered 2013), Jardin du Luxembourg To get inside your pants, last surfer online, loco android, lost paradise, Lost Paradise (Single version), Micke Fasth, Mikael Fasth, music, my favorite female, My favorite female (Broncosaurus 2011), mylizzardbrain, Neighbors in the sun, No sociologies accepted, one single release, onlyyou, oscar muur, per bronco, per bronco karlsson, Per Bronco Karlsson (Browncow), per bronco karlsson & tibet in reverse, per bronco karlsson and tibet in reverse, Playlist, pray for reality, quark and all his friends, raise mast, refugee, Refugee (Broncosaurus 2011), Refugee (Browncow version), reverb nation, singer songwriter, singer songwriter sweden, Sjömannens längtan, solid hole t-shirt, solid hole t-shirt store, Sons de Barcelona, soundcloud, spotify, spotify playlist, spotify playlist 10 per bronco songs, Tales from Trollhättan, tempoahorse, That frisco beat, the alliance, the apple on my head, The dreamprinter, the medieval rosegarden, theme from browncow mp3 music, there´s no one, there´s no one - Remix, There´s no one - remix by Per Bronco, tibet in reverse, to get inside your pants, underdrifter, video, warezsites, Water in your eyes, youtube, zarathustra on September 16, 2015 by Admin. 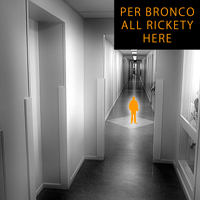 March 2015: There are eight new Per Bronco songs on All Rickety Here, two of them with Tibet in reverse. 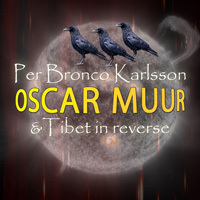 If you have heard this Swedish musician before, then you know that Per Bronco´s music always is about reality, and sometimes about wives. “I will follow that moon to the end of the world, and when I´m in tune you´ll be my girl. • All Rickety Here is on Spotify. 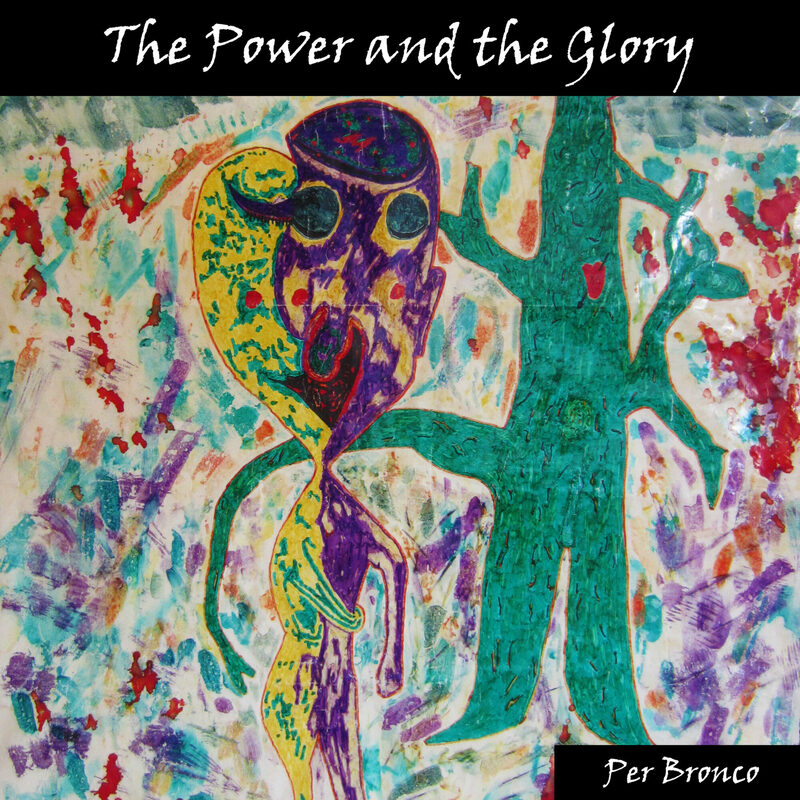 • It´s free to stream the album on Reverb Nation. This entry was posted in News and tagged @perbronco, a solid hole, A solid hole (Remastered 2013), aingbg, alien, alien lady stardust, Alien Lady Stardust (Single version), All rickety here, amazon, Baby is walking with God, Be my wife, benandanti, black country rock .2, bolander, Bronco, Bronco Billy and Shadow, Bronco Karlsson, broncosaurus, browncow, browncow mp3, browncow mp3 music, busk, carlos walk with me, celebration, Celebration (Celebration 2011), center of hopelessness, Center of hopelessness (Single version), Coming release 2014, cortisone skin, Crowgirls, deezer, digital stores, download, Download All Rickety Here as short mp3, download mp3, download short mp3, Eight legged Doug, emusic, Exodus Jardin du Luxembourg, Exorcism, factory boy, factoryboy, get in line, Got my moojo working, Hans Kjellsson, hasse kjellsson, Hold on to your now, iamdirty, Its 2085 and im still a boy, itunes, Jardin du Luxembourg (Remastered 2013), Jardin du Luxembourg To get inside your pants, last surfer online, loco android, lost paradise, Lost Paradise (Single version), Micke Fasth, Mikael Fasth, music, my favorite female, My favorite female (Broncosaurus 2011), mylizzardbrain, Neighbors in the sun, one single release, onlyyou, oscar muur, per bronco, per bronco karlsson, Per Bronco Karlsson (Browncow), per bronco karlsson & tibet in reverse, per bronco karlsson and tibet in reverse, Playlist, pray for reality, quark and all his friends, raise mast, refugee, Refugee (Broncosaurus 2011), Refugee (Browncow version), reverb nation, singer songwriter, singer songwriter sweden, Sjömannens längtan, solid hole t-shirt, solid hole t-shirt store, Sons de Barcelona, soundcloud, spotify, spotify playlist, spotify playlist 10 per bronco songs, Tales from Trollhättan, tempoahorse, That frisco beat, the alliance, the apple on my head, The dreamprinter, the medieval rosegarden, theme from browncow mp3 music, there´s no one, tibet in reverse, to get inside your pants, underdrifter, video, warezsites, Water in your eyes, youtube, zarathustra on March 24, 2015 by Admin. 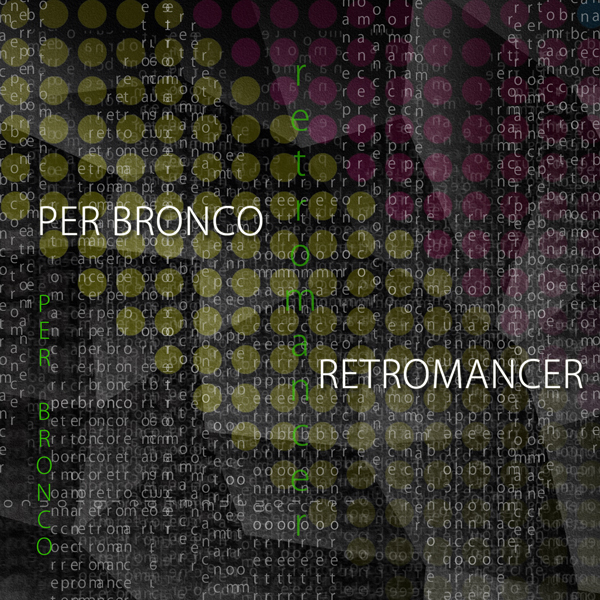 There are eight new Per Bronco songs on All Rickety Here, two of them with Tibet in reverse. If you have heard this Swedish musician before, then you know that Per Bronco´s music always is about reality, and sometimes about wives. This Press Release is communicated by My Favorite Female. This entry was posted in News and tagged @perbronco, a solid hole, A solid hole (Remastered 2013), aingbg, alien, alien lady stardust, Alien Lady Stardust (Single version), All rickety here, amazon, Baby is walking with God, Be my wife, benandanti, black country rock .2, bolander, Bronco, Bronco Billy and Shadow, Bronco Karlsson, broncosaurus, browncow, browncow mp3, browncow mp3 music, busk, carlos walk with me, celebration, Celebration (Celebration 2011), center of hopelessness, Center of hopelessness (Single version), Coming release 2014, cortisone skin, Crowgirls, deezer, digital stores, Eight legged Doug, emusic, Exodus Jardin du Luxembourg, Exorcism, factory boy, factoryboy, get in line, Got my moojo working, Hans Kjellsson, hasse kjellsson, Hold on to your now, iamdirty, Its 2085 and im still a boy, itunes, Jardin du Luxembourg (Remastered 2013), Jardin du Luxembourg To get inside your pants, last surfer online, loco android, lost paradise, Lost Paradise (Single version), Micke Fasth, Mikael Fasth, music, my favorite female, My favorite female (Broncosaurus 2011), mylizzardbrain, Neighbors in the sun, one single release, onlyyou, oscar muur, per bronco, per bronco karlsson, Per Bronco Karlsson (Browncow), per bronco karlsson & tibet in reverse, per bronco karlsson and tibet in reverse, Playlist, pray for reality, quark and all his friends, raise mast, refugee, Refugee (Broncosaurus 2011), Refugee (Browncow version), reverb nation, singer songwriter, singer songwriter sweden, Sjömannens längtan, solid hole t-shirt, solid hole t-shirt store, Sons de Barcelona, soundcloud, spotify, spotify playlist, spotify playlist 10 per bronco songs, Tales from Trollhättan, tempoahorse, That frisco beat, the alliance, the apple on my head, The dreamprinter, the medieval rosegarden, theme from browncow mp3 music, there´s no one, tibet in reverse, to get inside your pants, underdrifter, video, warezsites, Water in your eyes, youtube, zarathustra on February 11, 2015 by Admin. This entry was posted in News and tagged @perbronco, a solid hole, A solid hole (Remastered 2013), aingbg, alien, alien lady stardust, Alien Lady Stardust (Single version), All rickety here, amazon, Baby is walking with God, Be my wife, benandanti, black country rock .2, bolander, Bronco, Bronco Billy and Shadow, Bronco Karlsson, broncosaurus, browncow, browncow mp3, browncow mp3 music, busk, carlos walk with me, celebration, Celebration (Celebration 2011), center of hopelessness, Center of hopelessness (Single version), Coming release 2014, cortisone skin, Crowgirls, deezer, digital stores, Eight legged Doug, emusic, Exodus Jardin du Luxembourg, Exorcism, factory boy, factoryboy, get in line, Got my moojo working, Hans Kjellsson, hasse kjellsson, Hold on to your now, iamdirty, Its 2085 and im still a boy, itunes, Jardin du Luxembourg (Remastered 2013), Jardin du Luxembourg To get inside your pants, last surfer online, loco android, lost paradise, Lost Paradise (Single version), Micke Fasth, Mikael Fasth, music, my favorite female, My favorite female (Broncosaurus 2011), mylizzardbrain, Neighbors in the sun, one single release, onlyyou, oscar muur, per bronco, per bronco karlsson, Per Bronco Karlsson (Browncow), per bronco karlsson & tibet in reverse, per bronco karlsson and tibet in reverse, Playlist, pray for reality, quark and all his friends, raise mast, refugee, Refugee (Broncosaurus 2011), Refugee (Browncow version), reverb nation, singer songwriter, singer songwriter sweden, Sjömannens längtan, solid hole t-shirt, solid hole t-shirt store, Sons de Barcelona, soundcloud, spotify, spotify playlist, spotify playlist 10 per bronco songs, Tales from Trollhättan, tempoahorse, That frisco beat, the alliance, the apple on my head, The dreamprinter, the medieval rosegarden, theme from browncow mp3 music, there´s no one, tibet in reverse, to get inside your pants, underdrifter, video, warezsites, Water in your eyes, youtube, zarathustra on December 12, 2014 by Admin. 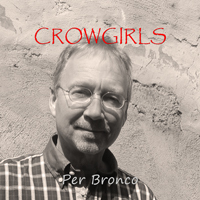 My new album Crowgirls is released in digital stores: Spotify, iTunes, Amazon, Deezer and emusic. On Crowgirls I have single versions, remasters and a video for the new song Baby is walking with God. Stream the songs from Crowgirls free on Crowgirls Album page. 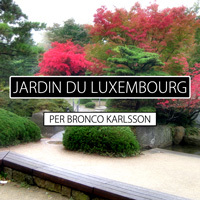 This entry was posted in News and tagged @perbronco, a solid hole, A solid hole (Remastered 2013), aingbg, alien, alien lady stardust, Alien Lady Stardust (Single version), amazon, Baby is walking with God, benandanti, black country rock .2, bolander, Bronco, Bronco Billy and Shadow, Bronco Karlsson, broncosaurus, browncow, browncow mp3, browncow mp3 music, busk, carlos walk with me, celebration, Celebration (Celebration 2011), center of hopelessness, Center of hopelessness (Single version), Coming release 2014, cortisone skin, Crowgirls, deezer, digital stores, Eight legged Doug, emusic, Exodus Jardin du Luxembourg, factory boy, factoryboy, get in line, Got my moojo working, Hans Kjellsson, hasse kjellsson, iamdirty, itunes, Jardin du Luxembourg (Remastered 2013), Jardin du Luxembourg To get inside your pants, last surfer online, loco android, lost paradise, Lost Paradise (Single version), Micke Fasth, Mikael Fasth, music, my favorite female, My favorite female (Broncosaurus 2011), mylizzardbrain, Neighbors in the sun, one single release, onlyyou, oscar muur, per bronco, per bronco karlsson, Per Bronco Karlsson (Browncow), per bronco karlsson & tibet in reverse, per bronco karlsson and tibet in reverse, Playlist, pray for reality, quark and all his friends, raise mast, refugee, Refugee (Broncosaurus 2011), Refugee (Browncow version), reverb nation, singer songwriter, singer songwriter sweden, solid hole t-shirt, solid hole t-shirt store, soundcloud, spotify, spotify playlist, spotify playlist 10 per bronco songs, Tales from Trollhättan, tempoahorse, That frisco beat, the alliance, the apple on my head, the medieval rosegarden, theme from browncow mp3 music, there´s no one, tibet in reverse, to get inside your pants, underdrifter, video, warezsites, youtube, zarathustra on August 1, 2014 by Admin. An album called Crowgirls is on its way. It will be a contextual album about crowgirls. Only one of the ten included songs is actually new, it is called Baby is walking with God and I have a video for this song. Crowgirls will also contain remastered songs, single versions and more. 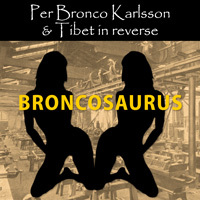 Since the context is crowgirls I added songs from my Per Bronco albums and from my albums with Tibet in reverse – and one from my Browncow album. I asked myself: If I want to expose Crowgirls in a social media I never used before, which media would that be? The answer came easily. What would fit better for my Crowgirls than a cloud? That´s why all of the songs from Crowgirls will be uploaded to my new Soundcloud account. The last upload will be Baby is walking with God when the album is out in digital stores, and then the video will be published on my YouTube account. 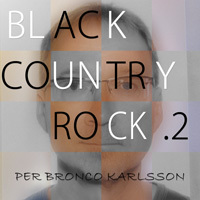 This entry was posted in News and tagged @perbronco, a solid hole, aingbg, alien, alien lady stardust, amazon, Baby is walking with God, benandanti, black country rock .2, bolander, Bronco, Bronco Billy and Shadow, Bronco Karlsson, broncosaurus, browncow, browncow mp3, browncow mp3 music, busk, carlos walk with me, celebration, center of hopelessness, Coming release 2014, cortisone skin, Crowgirls, digital stores, Eight legged Doug, emusic, Exodus Jardin du Luxembourg, factory boy, factoryboy, get in line, Got my moojo working, Hans Kjellsson, hasse kjellsson, iamdirty, itunes, Jardin du Luxembourg To get inside your pants, last surfer online, loco android, lost paradise, Micke Fasth, Mikael Fasth, music, my favorite female, mylizzardbrain, Neighbors in the sun, one single release, onlyyou, oscar muur, per bronco, per bronco karlsson, Per Bronco Karlsson (Browncow), per bronco karlsson & tibet in reverse, per bronco karlsson and tibet in reverse, Playlist, pray for reality, quark and all his friends, raise mast, refugee, reverb nation, singer songwriter, singer songwriter sweden, solid hole t-shirt, solid hole t-shirt store, soundcloud, spotify, spotify playlist, spotify playlist 10 per bronco songs, Tales from Trollhättan, tempoahorse, That frisco beat, the alliance, the apple on my head, the medieval rosegarden, theme from browncow mp3 music, there´s no one, tibet in reverse, to get inside your pants, underdrifter, video, warezsites, youtube, zarathustra on March 25, 2014 by Admin. 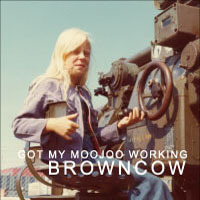 If you search for “Per Bronco” on Spotify all of my tracks will come up, including the album Got My Moojoo Working, where I called myself Browncow. The playlist 10 Per Bronco songs is what it says; ten Per Bronco songs, and I refresh it once a week. Not always with ten new songs, but with a mix. – All of my tracks will be included on this list sooner or later. 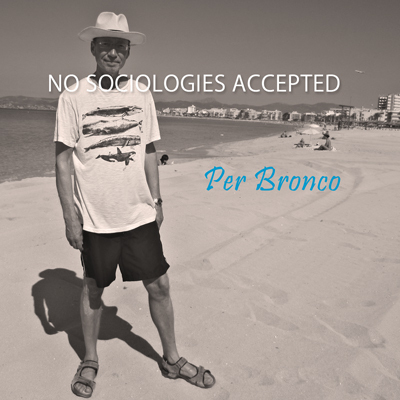 This entry was posted in News and tagged @perbronco, 10 per bronco songs, a solid hole, aingbg, alien, alien lady stardust, amazon, benandanti, black country rock .2, bolander, Bronco, Bronco Billy and Shadow, Bronco Karlsson, broncosaurus, browncow, browncow mp3, browncow mp3 music, busk, carlos walk with me, celebration, center of hopelessness, cortisone skin, digital stores, Eight legged Doug, emusic, Exodus Jardin du Luxembourg, factory boy, factoryboy, get in line, Got my moojo working, Hans Kjellsson, hasse kjellsson, iamdirty, itunes, Jardin du Luxembourg To get inside your pants, last surfer online, loco android, lost paradise, Micke Fasth, Mikael Fasth, music, my favorite female, mylizzardbrain, Neighbors in the sun, one single release, onlyyou, oscar muur, per bronco, per bronco karlsson, Per Bronco Karlsson (Browncow), per bronco karlsson & tibet in reverse, per bronco karlsson and tibet in reverse, Playlist, pray for reality, quark and all his friends, raise mast, refugee, reverb nation, singer songwriter, singer songwriter sweden, solid hole t-shirt, solid hole t-shirt store, spotify, spotify playlist, spotify playlist 10 per bronco songs, Tales from Trollhättan, tempoahorse, That frisco beat, the alliance, the apple on my head, the medieval rosegarden, theme from browncow mp3 music, there´s no one, tibet in reverse, to get inside your pants, underdrifter, warezsites, zarathustra on January 25, 2014 by Admin. 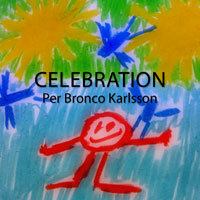 This entry was posted in News and tagged @perbronco, a solid hole, aingbg, alien, alien lady stardust, amazon, benandanti, black country rock .2, bolander, Bronco, Bronco Billy and Shadow, Bronco Karlsson, broncosaurus, browncow, browncow mp3, browncow mp3 music, busk, carlos walk with me, celebration, center of hopelessness, cortisone skin, digital stores, Eight legged Doug, emusic, Exodus Jardin du Luxembourg, factory boy, factoryboy, get in line, Got my moojo working, Hans Kjellsson, hasse kjellsson, iamdirty, itunes, Jardin du Luxembourg To get inside your pants, last surfer online, loco android, lost paradise, Micke Fasth, Mikael Fasth, music, my favorite female, mylizzardbrain, Neighbors in the sun, one single release, onlyyou, oscar muur, per bronco, per bronco karlsson, Per Bronco Karlsson (Browncow), per bronco karlsson & tibet in reverse, per bronco karlsson and tibet in reverse, pray for reality, quark and all his friends, raise mast, refugee, reverb nation, singer songwriter, singer songwriter sweden, solid hole t-shirt, solid hole t-shirt store, spotify, Tales from Trollhättan, tempoahorse, That frisco beat, the alliance, the apple on my head, the medieval rosegarden, theme from browncow mp3 music, there´s no one, tibet in reverse, to get inside your pants, underdrifter, warezsites, zarathustra on November 20, 2013 by Admin.